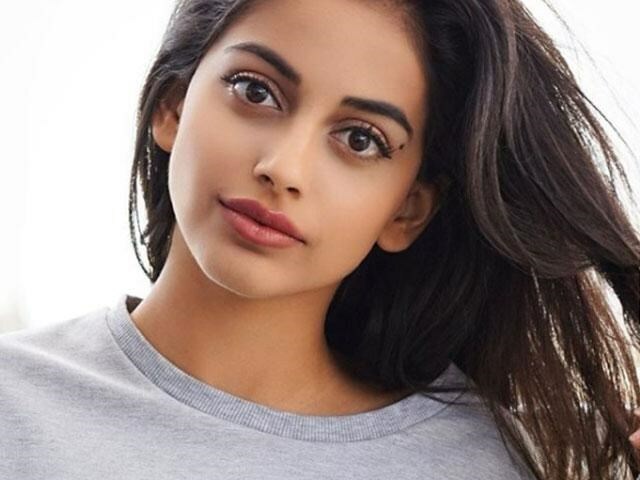 #BanitaSandhu who is debuting in Bollywood with #ShoojitSircar's #October said, she lucked about and feels blessed to be part of the film. Banita Sandhu was spotted at October promotional press junket with Varun Dhawan and Shoojit Sircar here in Mumbai. When asked about her experience from the Doublemint Ad to a film she said, "When I came to Mumbai to do ads I thought I'll get to explore my heritage and it will be a win-win situation. But I came to do ads and left with a film. I honestly think I have been so blessed and lucky with this film. I found a great director an amazing writer and a great co-actor so I really do feel like I have hit the jackpot." While talking about her future possibilities of working in Bollywood industry she said, "It's going to be very difficult to find another film on that level. not even in just Bollywood but worldwide. I am very picky and I have a lot of faith that the industry is moving towards great content for films so I would love to consider working in Bollywood." Banita's character does not seem like an easy character to portray especially from someone who grew up abroad, when asked to comment on the same she said," At first, I really struggled to connect with her. She is a way better person than I am. I used to talk to Juhi for hours because I couldn't connect with her. But we do have some similarities, we are focused and a lot driven for our age. And at the age of nineteen persoanally, I found myself doing a lot more than I had ever thought of. I became anxious and when Shoojit Sir saw that he told me to calm down do some yoga and it helped me understand by character too. To become her I feel like I became a better person through that process."